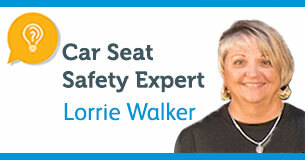 With more than 30 years of experience, Lorrie Walker is one of the country’s most respected authorities in child passenger safety. Before joining Safe Kids in 2004, Lorrie spent 14 years with the Pennsylvania Chapter of the American Academy of Pediatrics. She also served as the director of the Florida Traffic Safety Resource Center and assistant professor of research at Florida Atlantic University. Now, she oversees the national training program for more than 300 Safe Kids Coalitions throughout the United States and is expanding her work to provide guidance to other countries on issues of child passenger safety. As National Transportation Safety Board Chairwoman Deborah Hersman said in her keynote speech at the prestigious Lifesavers Conference, “Lorrie can go home each night knowing that there’s a family intact and safe and together because of the work she does.” Lorrie holds a Bachelor's degree from Eastern College in St. Davids, Penn., and a Master of Science from St. Joseph's University in Philadelphia.